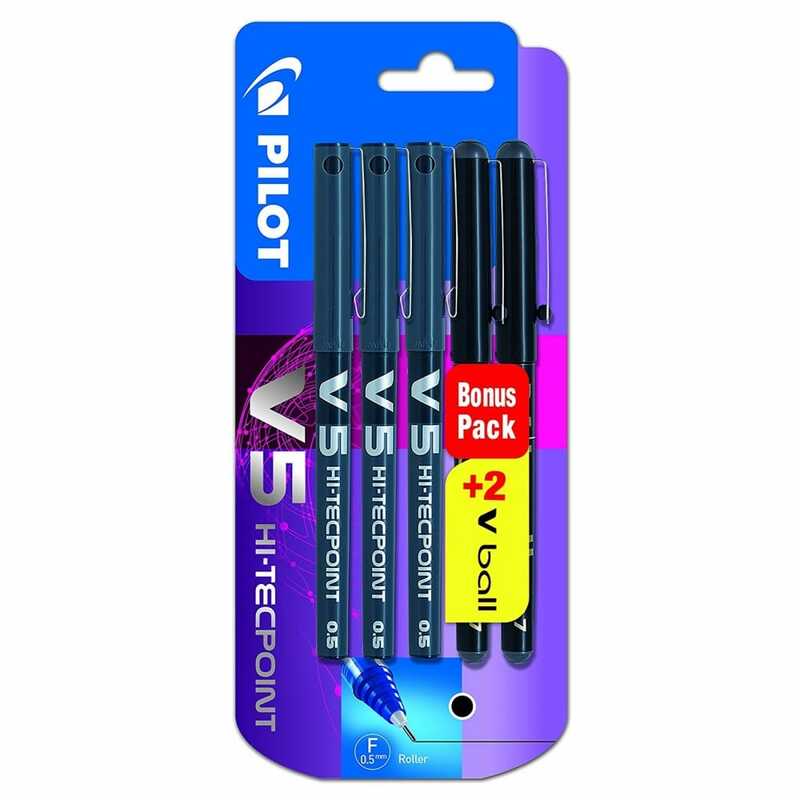 This is a great 5 pen pack with 3 x V5 Hitec and 2 x Vball with black ink. The unique Hi-Tecpoint nib delivers a precise line of pure liquid ink, giving you a bright and dense colour the ink flow controller system keeps the flow consistent until the very last drop. The pen gives excellent writing comfort and precise fine detail lines which is ideal for detail drawing. V ball pen 0.7 is an advanced liquid ink rollerball with a tough Tungsten-Carbide tip will ensure quality for the life of the pen. A bit about the brand: Pilot offers many different styles of pens for you to choose from, they can be used in the office, schools and at home. The smooth flowing ink makes the pens ideal for drawing, using on legal documents and much more.